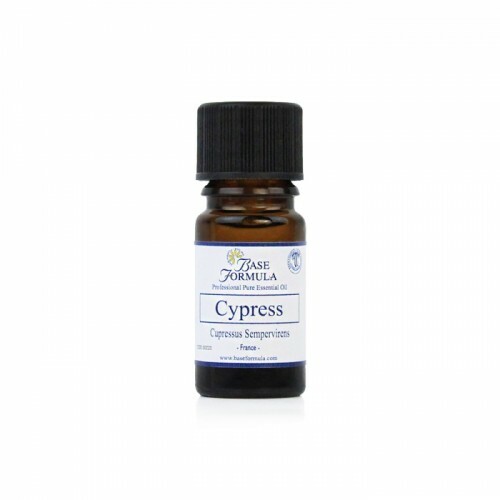 Cypress essential oil has a woody, slightly spicy, refreshing, masculine aroma. Cypress is a good oil to choose during times of upheaval as it helps to restore calm. It also has an affinity with the skin and respiratory system. Cypress is a long-lived evergreen tree native to the Mediterranean region. Cypress essential oil is steam distilled from the leaves and twigs. Cypress essential oil is purifying, protecting and refreshing and was traditionally used in purifying incense. It is a valuable to oil to use during times of upheaval, painful change or bereavement as it can help the flow of stagnant energy and encourage a more focussed approach to problems. Cypress has an affinity with the skin and is also beneficial for respiratory problems such as coughs and bronchitis. Cypress essential oil has incredible astringent properties which make it useful for aiding acne and oily skin types. It is commonly used in deodorants for its deodorising properties and is anti-sudorific which makes it ideal for preventing sweaty feet. Cypress oil is useful for those who suffer from nervousness and anxiety. It helps to restore calm and focus whilst helping ease negative emotions.